Danke, an alle, die meine Freeware SIMstarter bei der Abstimmung auf flusinews.de unterstützt haben. Dank Eurer Hilfe wurde mir der Award für 2015 verliehen! SIMstarter NG on froogle News! 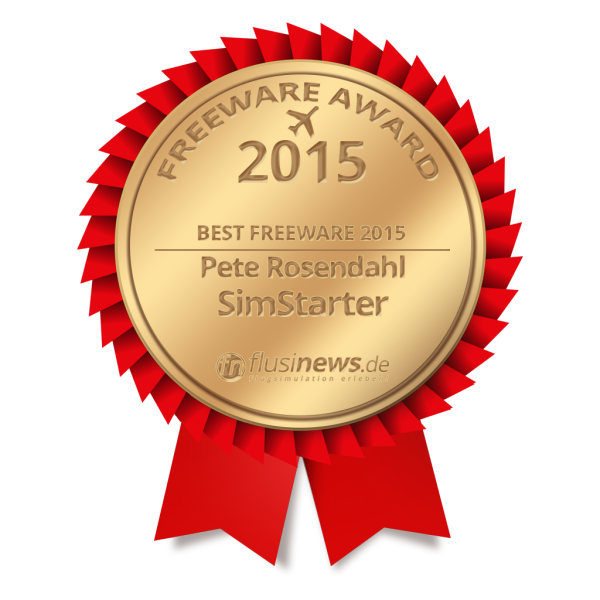 Today I have released the latest update for SIMstarter freeware. We had about 24 releases and I leave it with a tear in the eye. Never the less SIMstarter NG is the better platform and SIMstarter was a very good experience too. 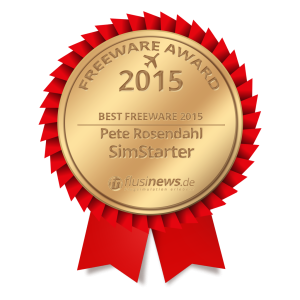 You can contine using SIMstarter freeware but won’t support it any longer. My advice is to switch to SIMstarter NG.